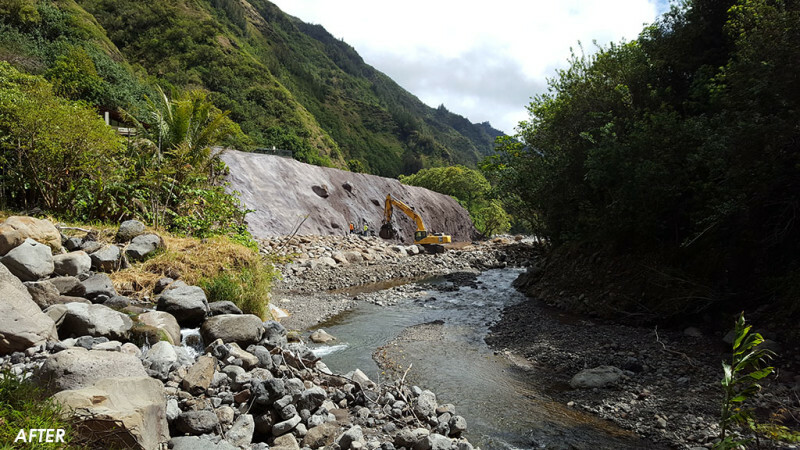 In September 2016, heavy rain and flooding caused extensive damage to Iao Valley State Monument. These heavy rains caused the Wailuku River running through the park to rise, triggering flood damage and landslides along the banks of the park. WOC is the prime consultant providing planning and engineering services for the assessment of the damage and the design of emergency repairs needed to reopen the park. The project is divided into two phases. The first phase consists of the immediate assessment, emergency remediation design and construction (completed) and the second phase consists of the permanent repair design and construction. 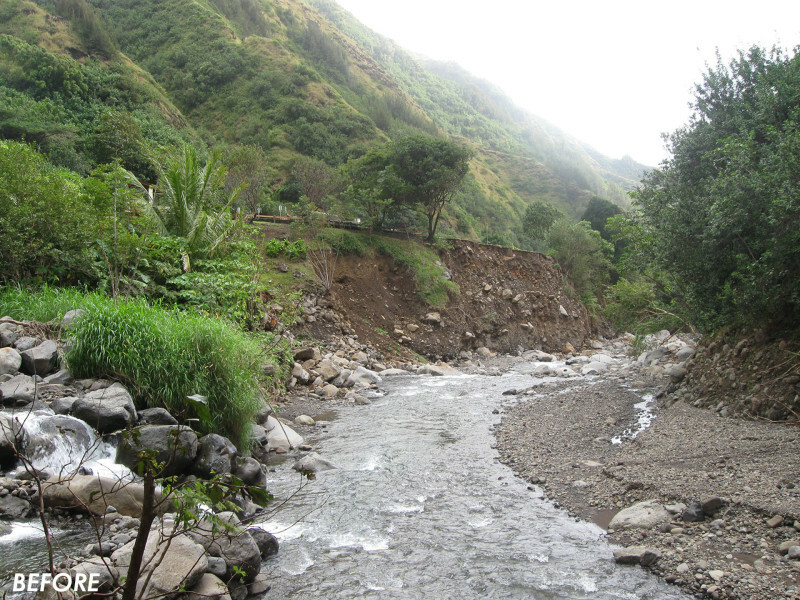 Phase 1 involved stabilizing the bank slope by constructing a 200-foot rock and boulder revetment along the base of the exposed and undermined slopes. Temporary slope stabilization also incorporated a layer of shotcrete. A toe boulder revetment at the bottom of the slope protects the slope toe from scour. Planning scope included the preparation and processing of a Section 404 Department of the Army Nationwide Permit.